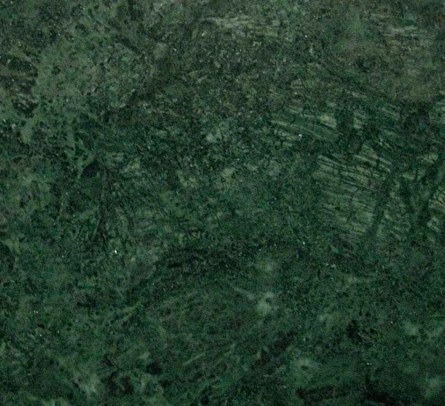 The Indian Green is a famous indian marble, characterised by the intense green colour. The quarries have a good productivity and blocks are usually available in good quantity. Thanks to the strong structure, the Indian Green can be used for big floorings where it can be combined with other lighter marbles, for example the Botticino marble. The Indian Green slabs are eventually resined to fix some micro-fracture or micro-cracks. Ziche resins these slabs with triple vacuum epoxide resin, in the modern factory of Brescia (IT). This process enhances the structural quality of this marble, protecting its beautiful natural color. Thanks to its strong structure, this marble can be finished in almost every way, and it is commonly used fot floorings, claddings, ventilate facades, countertops, stairs,..